Webinars are an excellent tool for any organization that needs to share information easily over a long distance. However, some webinars are more successful and productive than others. 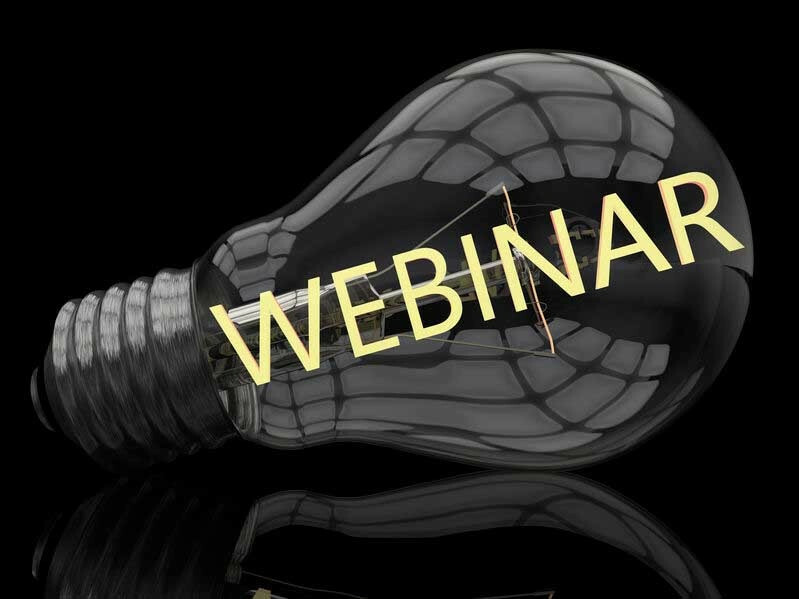 Follow these webinar best practices to make your next webinar more successful. 1. Plan engaging visual and audio aids well in advance. Webinars rely on visual and audio content to keep the audience interested. Preparing these aids in advance will ensure that you have the content you need to get your points across and hold the focus of your listeners. To improve the quality of these aids, consider asking for feedback about the content you used during your most recent webinars. Use this feedback to enhance the visual aids and audio content you create in the future. 2. Schedule a practice session. One of the best ways to improve the quality of your webinar is to schedule at least one practice session before the event takes place. This practice session allows you to make sure you have all of the content you need, as well as to make sure it delivers the right message to the audience. In addition, when you practice the webinar, you will be able to look for any problems that should be fixed before you go live. Furthermore, your host will be more comfortable if he or she has some time to practice before speaking in front of a large audience. To get the most out of your practice session, have a few people watch the session and provide feedback. Use this feedback to make changes or improvements as needed. We recommend recording your practice session so you can play it back. 3. Publicize your webinar as much as possible. Even if you have the most engaging, informative webinar possible, it won’t be successful if you aren’t able to pull in a large audience. To bring in as many people as possible, start publicizing your webinar early. Use multiple channels to distribute information about the webinar, including your blog, company website, social media and email. Allow people to register for the webinar in advance and send them reminders several times before the event begins. These are just a few of the ways you can make your next webinar more successful. For more tips or assistance with your next project, please contact WorkTank today. Adam began his career in virtual events as a webcast producer where he managed and produced hundreds of events over four years. He transitioned into business development where he now helps organizations plan and develop virtual events solutions to meet their goals.